We are thrilled to announce that major library renovations are underway for the Student Success District. 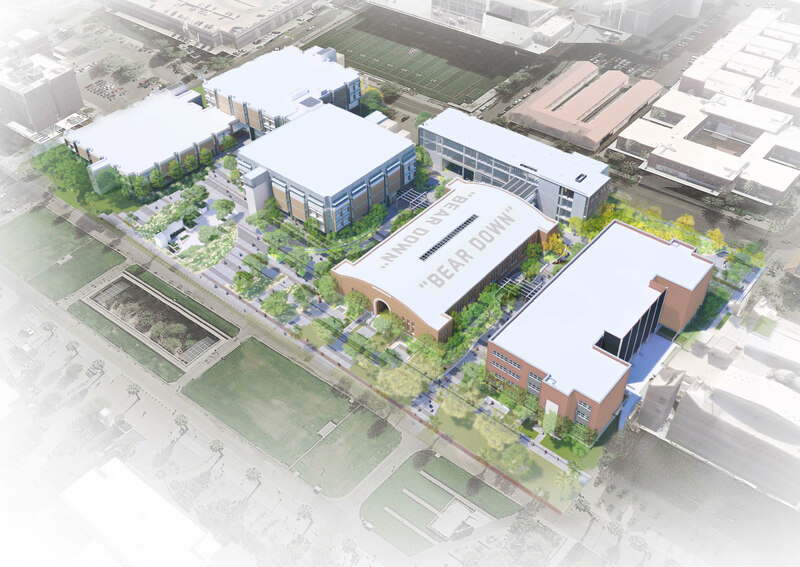 This university initiative will transform the Main Library, the Albert B. Weaver Science-Engineering Library, Bear Down Gym, and a new four-story building into an interconnected facility that will support collaborative, hands-on learning for generations of students. UA Libraries Dean Shan Sutton said: “One of the things that’s unique about the Student Success District is the intentional design of four different buildings that are adjacent to each other—and their outdoor spaces—to create one seamless student experience. This is really distinctive to the UA." You asked, we listened. Driven by student feedback, renovations will bring new collaborative learning spaces, cutting-edge technologies and shaded patios with power and WiFi. The Main Library will be revamped with an expanded makerspace, a dedicated virtual and augmented reality and media lab, and a research center with a data visualization wall. Weaver Science-Engineering Library upgrades include new learning spaces for student collaboration. "We’re not aware of any other university that’s attempted this—in terms of integrating library spaces and services, as well as student success and student affairs spaces and services—so that students can easily move from one space and service to another," added Sutton. Library renovations are slated to be done by mid 2020. View our timeline to see which library areas will be renovated and find more architectural images at the Student Success District website. Interested in supporting tomorrow's students through this project? Get in touch with Hilary Van Alsburg, our Director of Development.